It was about two years ago that I rode the current-generation Multistrada 1200 S and was properly taken aback. It struck a great balance between performance and practicality and was loaded with features as well. But there was feedback from certain Ducati riders that the 1200 S felt lacking in certain aspects (wait, what!) and Ducati is known for taking customer feedback seriously. The response to that feedback was the new and updated Ducati Multistrada 1260 S. We spend some time with the new flagship of the Multistrada range and sample the updates. 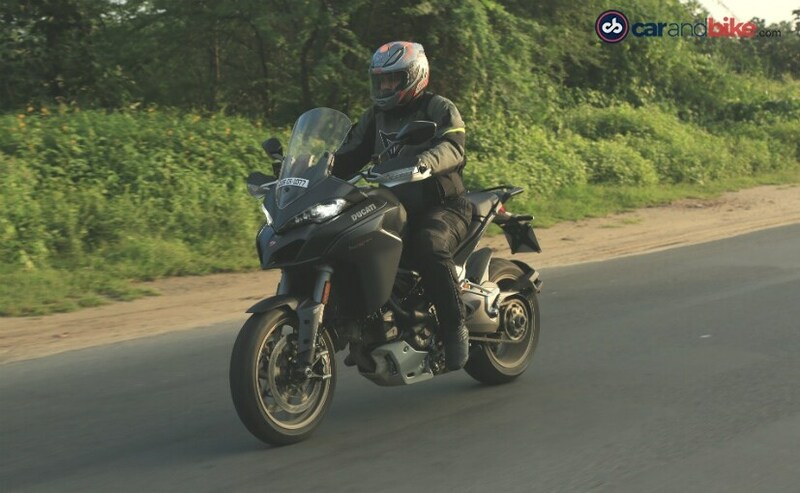 The Multistrada 1260 S looks quite similar to the 1200 S, having the same fairing up front along with the V-shaped row of LED headlamps and the typical ADV-like beak. 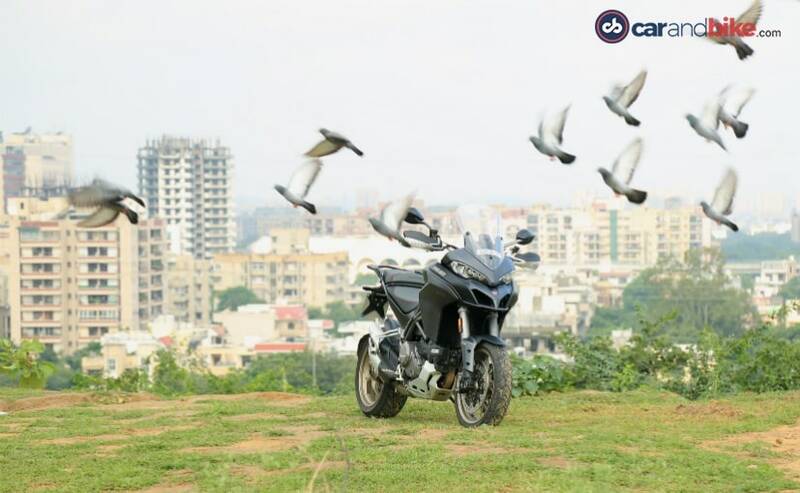 The Multistrada 1260 S retains the single-sided swingarm, which just adds a lot of oomph to the motorcycle. 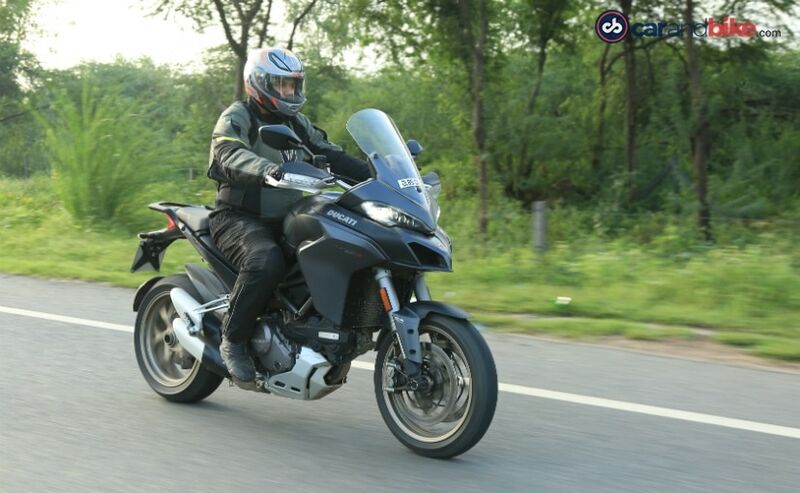 Rest, the silhouette is similar to the 1200 S. The Multistrada 1260 S is as intimidating and looks even more sinister in the shade of black in which our test bike was draped. The headliner is the updated engine which is a 1,262 cc L-twin motor which is the same as the one on the Ducati XDiavel. With updated components such as new con-rods, crankshafts and cylinders, the DVT Testastretta engine makes about 158 bhp at 9,750 rpm and pumps out 129.5 Nm at 7,500 rpm. Other big updates include the chassis, swingarm and the cycle parts. The steel frame on the chassis led to an increase in rake from 24 degrees to 25 degree and the swingarm grows in length, thereby elongating the wheelbase by 56 mm, to 1,585 mm. The brakes too have been updated with twin 330 mm front discs being gripped by Brembo M50 monobloc four-piston calipers, along with a 265 mm disc at the rear working in tandem with a Brembo calliper. The Multistrada 1260 S gets 48 mm Sachs forks up front, electronically managed by the Ducati Skyhook Suspension system. At the rear is a Sachs monoshock, which can be adjusted electronically as well. Lastly, the Multistrada 1260 S also gets a revised TFT instrumentation console with different colours for different riding modes and you get a bi-directional quick-shifter as standard. The Multistradas have always had grin-inducing performance and this too is no different. Thanks to the new engine, almost 80 per cent of the torque is at your disposal from about 3,500 rpm. This means that motorcycle has immense pulling power right from the word go. The spread of torque is absolutely delicious and no matter what gear you are in, the Multistrada 1260 S always eggs you on. Wring the throttle open and all 158 horses on tap will propel you to dangerous speeds in less time than it takes to think of doing so. Performance is impeccable and so is the braking. Pull a fistful of brake lever mid-corner and there will no drama whatsoever, thanks to cornering ABS which works well, with the inputs of the six-axis IMU (Inertial Measurement Unit). The electronics work well and more often than not, their intervention comes disguised as expert riding skill. What we mean to say is the electronics on the Multistrada 1260 S do all the work of saving your hide and make you look like Rossi's protégé. Then of course, you have the four riding modes (Urban, Touring, Sport, Enduro) with varying levels of electronic intervention and all of it can be adjusted to your liking. The switchgear gets a slight rejig, making it easier to operate and to use on the fly. Some Multistrada 1200 riders felt that the handling was too sporty. Well, we sure liked that bit on the 1200 S. But Ducati thought best to act on it and tweak the handling as subtly as possible (refer to a revised chassis, longer swingarm and increased rake). In our opinion, the bike now reacts in a more matured way to handling inputs and makes it easier when touring or riding in the city. 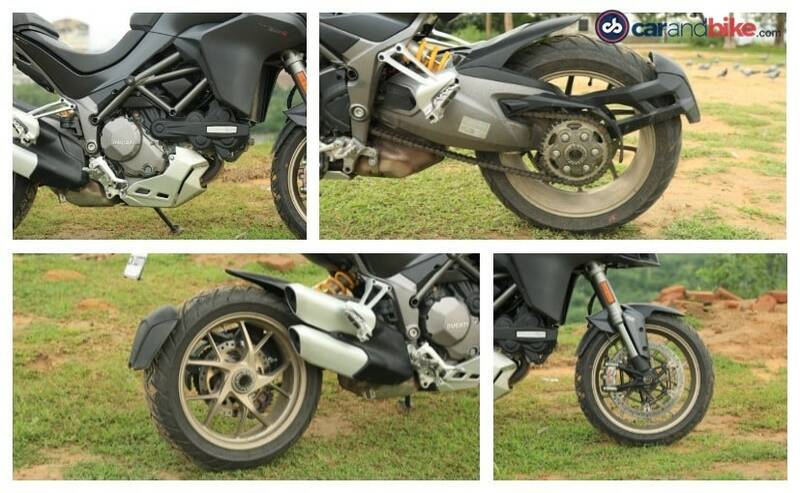 It is almost as if the volatility and the sharpness of the 1200 S has been reined in and the abilities of the bike made more accessible, on the 1260 S.
Ducati's semi-active skyhook suspension offers electronic adjustability and well it is just a matter of finding the right setting for the road you are riding on. Once you do that and you can possibly do more than 500 kilometres without feeling the need to take a break. 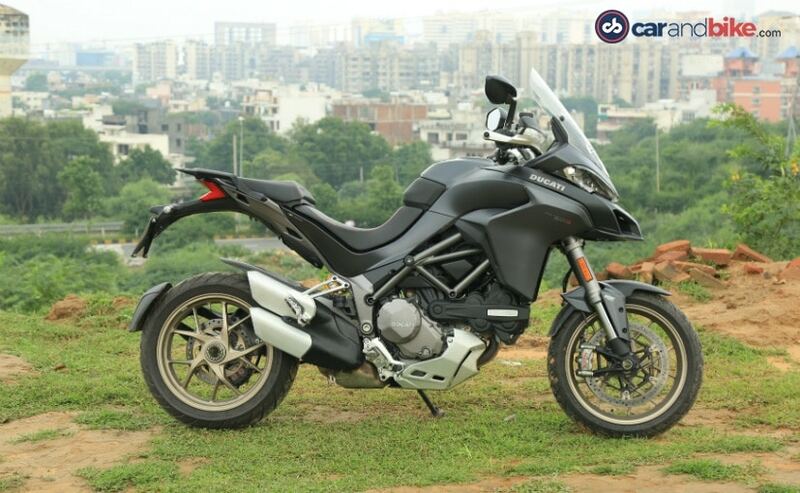 The Ducati Multistrada 1260 S gets a bunch of upgrades and it kind of makes the Multistrada 1200 S redundant. It is a good bet for those who love to take their bikes out regularly and going on long distance rides be it solo or two-up. It is priced at ₹ 18.06 lakh and at that price you get a motorcycle that will happily do your bidding as long as you stay on tarmac. Performance is plentiful and the fact that it is loaded to the gills with features and electronics makes it a good investment. In case you are looking for options. 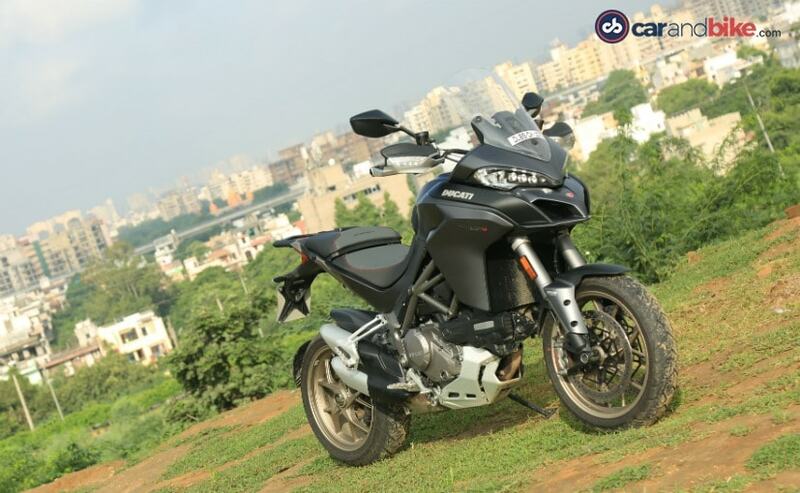 The Multistrada 1260 S goes up against the Triumph Tiger 1200 (priced at ₹ 17 lakh). Then, there is the BMW S 1000 XR (priced at ₹ 17.65 lakh) as well should you want to consider a German rival. 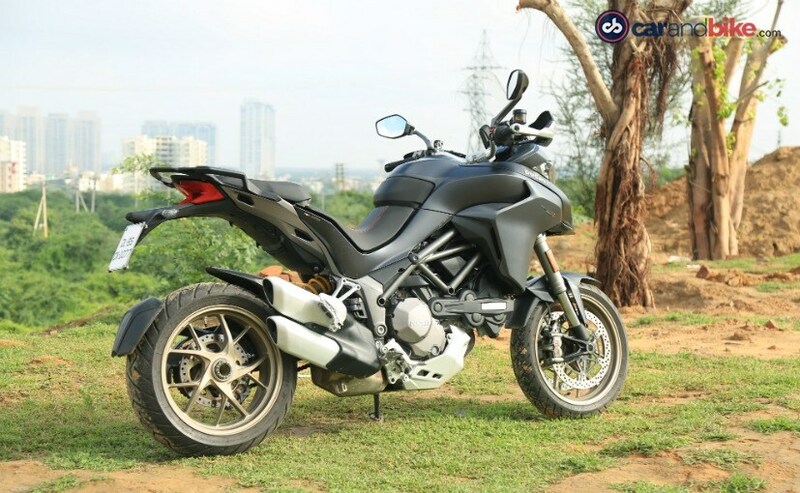 Ducati also offers the lower-spec Multistrada 1260 which is priced at ₹ 16.33 lakh, in case you find the 1260 S a bit too expensive for your liking. All prices are ex-showroom, Delhi.